Pingree Grove is a small village in Kane County. The word “small” can be a relative term, as the city has experienced exponential growth in the last two decades with the population going from just over 100 people in 2000, to an estimated 4,500 currently. The community is expected to grow to almost 15,000 over the next 10 years with many farmlands currently being developed into residential areas. The town is located off IL Rte 20, and neighbored by Huntley and Gilberts to the north and west, respectively. It is served by school Districts 300 & 301, with most residents attending Gary D Wright Elementary, Hampshire Junior High, and Hampshire High School. 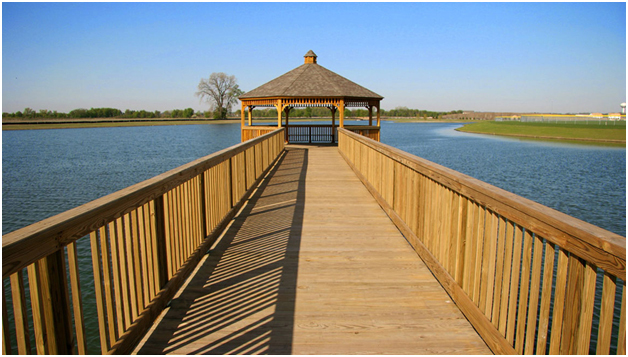 The popular Cambridge Lakes neighborhood features 12 lakes, wooded park areas, and over five miles of walking and biking trails. Pingree Grove has adopted the motto of “A Place to Grow”, recognizing how far it has come in recent years and making big plans for the future.